Ben D. Bollinger’s Candlelight Pavilion Dinner Theatre provides patrons with a dinner theatre and musicals for a theatrical experience the caliber of the Broadway shows in downtown LA without the freeway or parking dilemmas. Located in the Inland Empire, California, patrons enjoy corporate events, parties, fundraisers, and banquets. 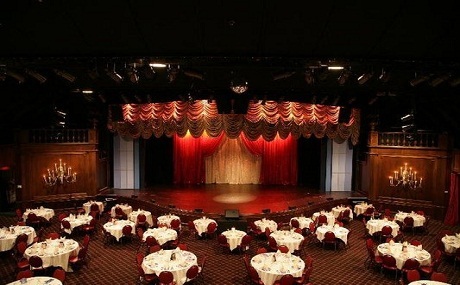 The gourmet food prepared by the executive chef and served by his formal wait staff ranks the Candlelight Pavilion Dinner Theatre as a fine food restaurant that rivals any fine dining establishment in Los Angeles and San Bernardino. Please leave your comments about your experiences with the working environment at Candlelight Pavilion Dinner Theater below. Comments may be anonymous, but please remember to be respectful and professional, even in your critiques.